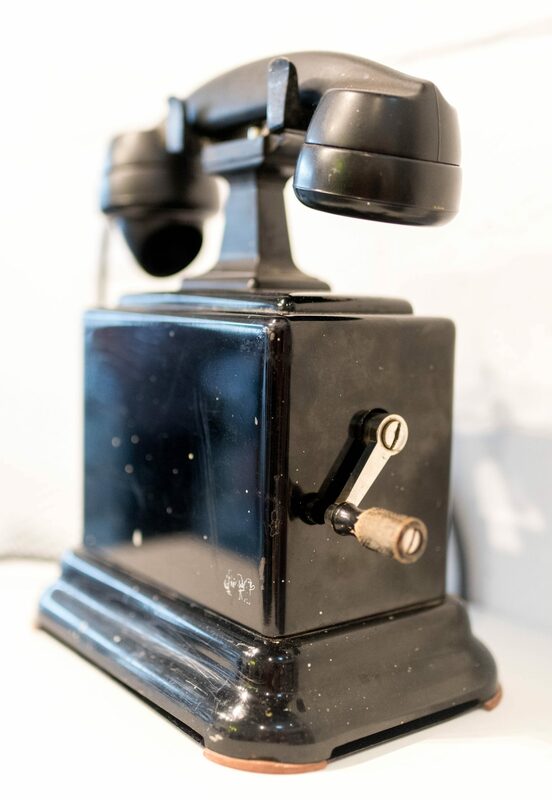 The black, old-fashioned crank telephone sits on a ledge in the small gallery called Central Art Garage. The temptation to lift the receiver is irresistible. So, pick it up and listen. The sounds of screams and wails continue endlessly like the soundtrack of a B-horror film. This telephone installation is the creation of Ottawa artist Frank Shebageget. His artwork is called “Get Out” AKA Canada Horror Stories. The sounds are a joint creation of Shebageget and artist-musician Bear Witness. It’s part of an exhibition, It’s Complicated, by 10 local Aboriginal artists responding to celebrations marking Canada’s 150th birthday. The exhibition is part of the National Arts Centre’s Canada Scene, the multidisciplinary arts festival being held across the capital area this summer. For many Indigenous people, the last 150 years are all about colonialism and repression; there is nothing to celebrate. Like Shebageget’s phone, some of the works are combinations of humour and horror. Others are just contemplative. All have a certain sadness. Poems like this from Scott were once studied in Canadian schools. Now, they are deemed racist and untouchable. 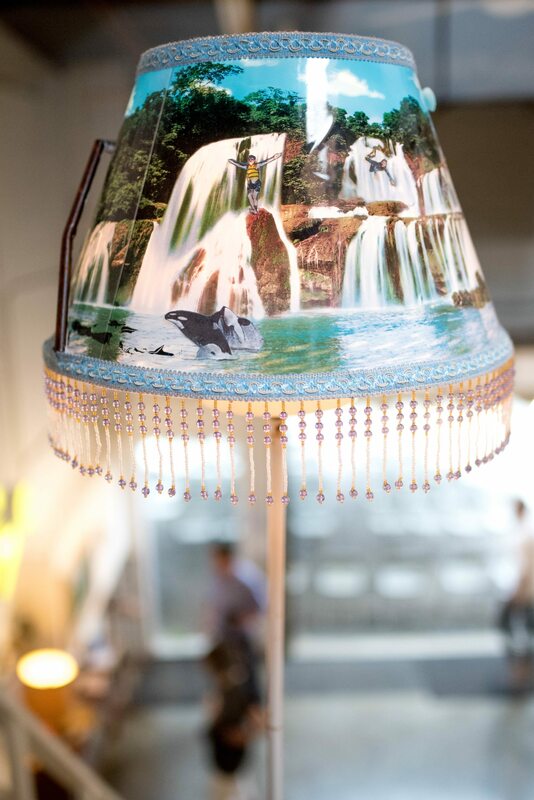 Ron Noganosh has turned a lamp into a political statement. The shade offers bucolic scenes of nature. But black, tar-like swirls blight the landscape. The work is called Paradise Pipeline Co. In this, Canada’s sesquicentennial, Aboriginal opposition to oil pipelines has become a rallying cry. Leo Yerxa has created a zen-like drawing of a skeletal teepee in the mist. The title: Standing in the Twilight of The Canadian Dream. Barry Ace gets cheeky with a photograph of the Indigenous scout that used to kneel at the feet of Samuel de Champlain at Nepean Point. The scout in recent years was moved to Major’s Hill Park so he would look less subservient. 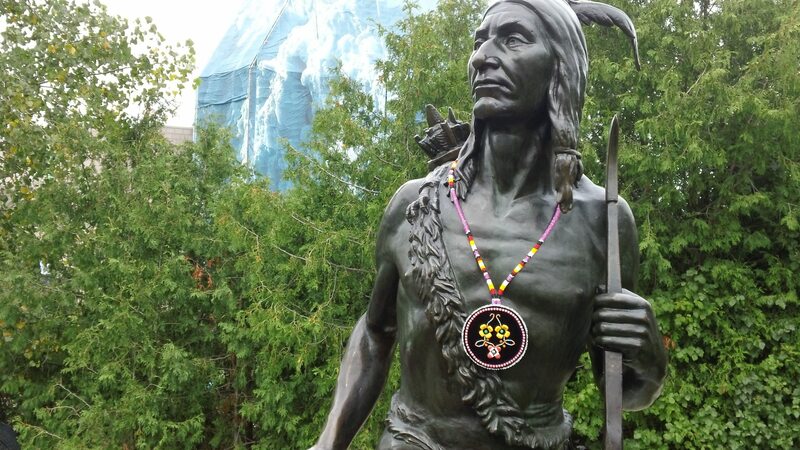 Ace has placed a gaudy beaded necklace – “bling,” he calls it – around the statue’s neck. The photograph is titled Kitchi Zibi Omamiwinini Anishinabe. It’s Complicated continues until July 31 at Central Art Garage, at 66B Lebreton St. The biggest Canada Scene exhibition, Endless Landscapes, can be found at La Fonderie in Hull. 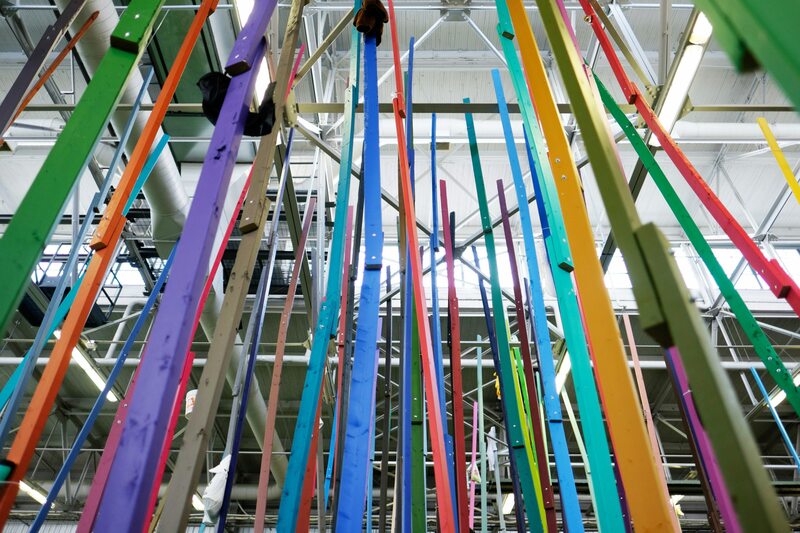 This is an old industrial building that has been repurposed into a sports complex but, this summer, has been handed over to some of the top names in Canadian contemporary art. Each of the dozen participating artists was asked to create an installation on the Canada 150 theme. The neighbouring Axe Neo-7 Gallery organized the exhibition. 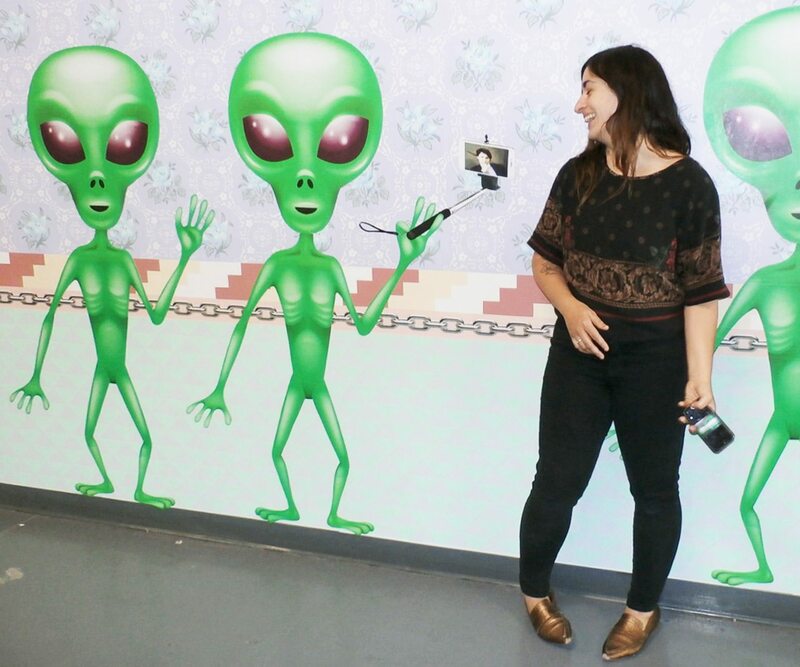 The most eye-popping work comes from Montreal artist Dominique Petrin who was papered the building’s ground floor foyer with scenes of 150 aliens who have come to Canada to colonize the place. The green extraterrestrials are perplexed by our fondness for Tim Horton’s treats, Canadian Tire money and prime ministerial selfies. UFO Canada is a cheeky commentary on contemporary Canadian society. Upstairs, look for the multi-coloured stylized forest created by Victoria artist Samuel Roy-Bois. His artificial trees work perfectly with the artificial grass that covers this space usually reserved for soccer games. The work is titled Tout est Fragile/Le Perchis. Other participating artists include Nadia Myre and Michel de Broin of Montreal, Graeme Patterson of Sackville, N.B. and Ottawa’s Justin Wonnacott, who has filled the galleries of Axe Neo-7 with photographs of public art, past and present, throughout the capital region. Endless Landscape runs until Aug. 30 at La Fonderie at 211 rue Montcalm.